Culture . Attractions ' . India . Indian clothing has been evolving for an extremely long time. In fact, the first evidence of spinning and dying cotton cloth dates back some 7,000 years to the ancient Indus Valley civilization. Over the years, its inhabitants left clues about their culture and fashion through epic sagas such as the Mahabharata and grandiose rock sculptures including the world famous Ellora caves. Indeed, clothing is as much a part of Indian history as food and religion (or even cricket!). 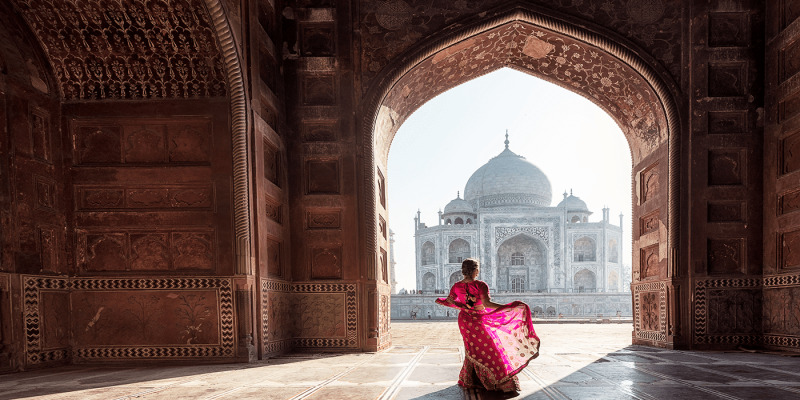 Since these early beginnings, the subcontinent has produced a plethora of finely woven garments, with distinct styles for both men and women found right throughout. Gender and geography aside, it is class and caste which has most heavily defined Indian dress. The upper echelons of society continue to don golden ornaments and fine threads such as munin, while those at the bottom are forced to be considerably more refined. 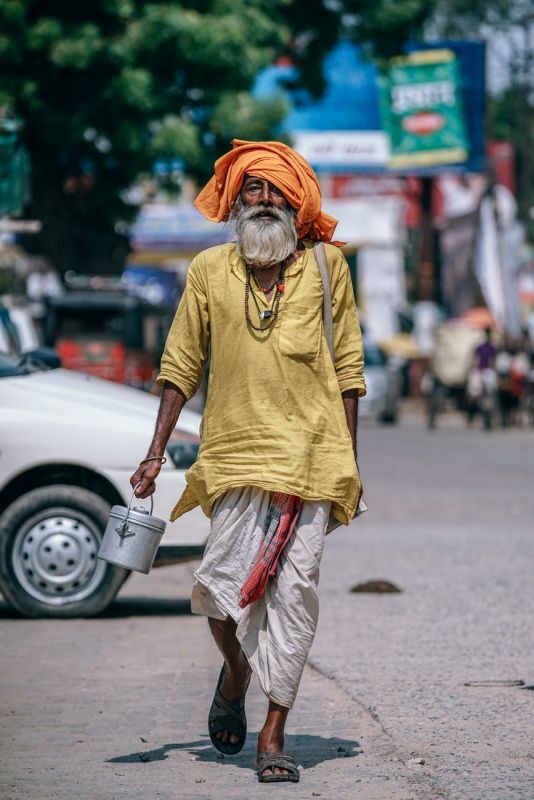 Over time, outside influences such as trading via the Silk Road, colonialization by Britain, and homogenization from the West has diminished the prevalence of traditional dress in India. 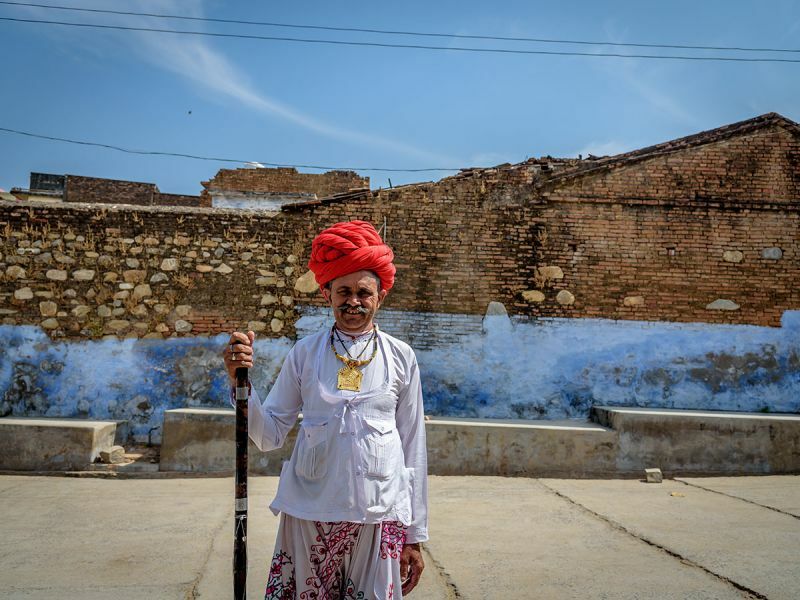 Nevertheless, ancient traditions remain strong throughout the country, and - even today - can still be seen adorning the bodies of its proud traditional inhabitants. On the whole, Indian women dress in modest and colorful clothing, taking great care not to expose too much skin no matter how humid the climate may be. The most ubiquitous piece of feminine Indian attire is the classic and colorful sari. Indeed, a regional variation of the archetypal outfit can be found across all corners of the subcontinent. Although it may look similar to a dress, the sari is actually a long piece of cloth – ranging from 13 to 30 feet – which is wrapped snugly around the woman’s body. Most choose to start from the waist and finish around the shoulders to leave the midriff exposed, although each region has a slightly different wrapping style. 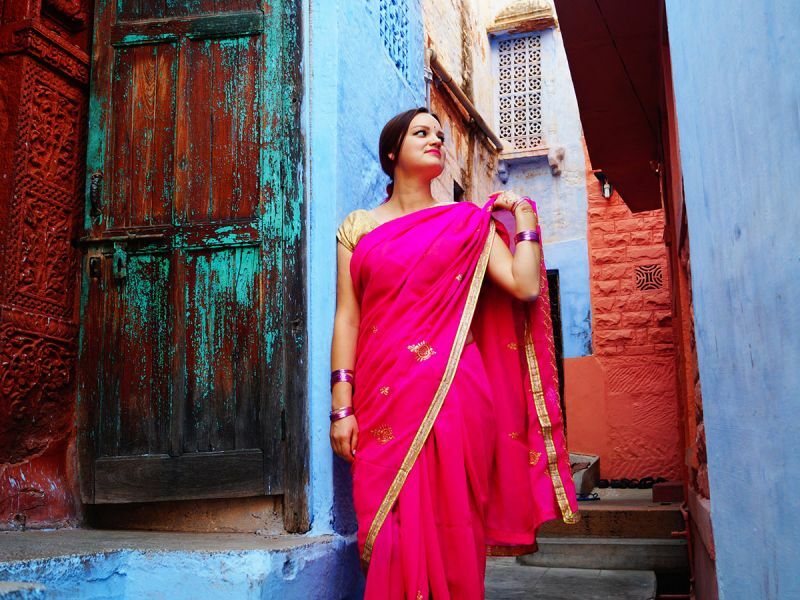 Special occasions such as weddings warrant a more elaborate pink or red shade of the sari. The ancient original form of the sari is the Mundum Neriyathum, a similar design which was only intended to cover the legs. The other famous piece of appeal for Indian women is the Salwaar Kameez. Although at first glance it may appear similar to the sari, the costume is remarkably different. Rather than a wraparound cloth, it’s a complete dress ensemble. The outfit includes the Salwaar, loose trousers that become tighter around the ankles, as well as the kameez, an intricately decorated tunic. 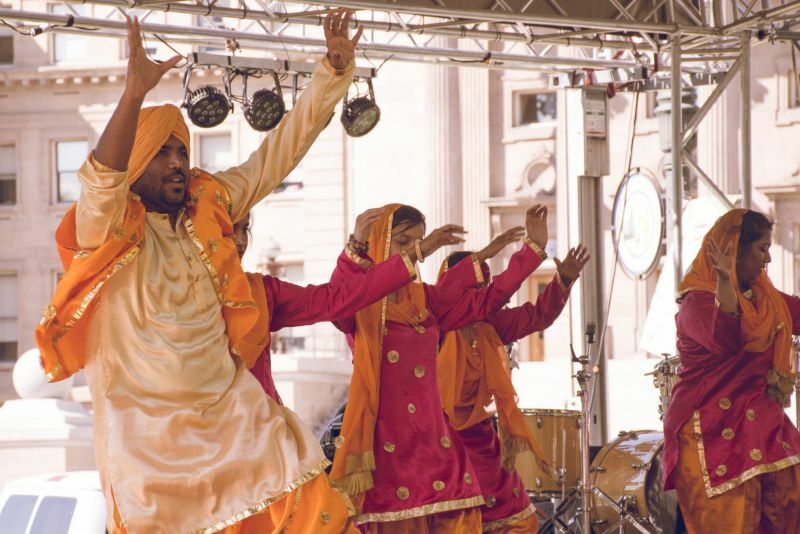 The Salwaar Kameez originated in North West India, particularly the provinces of Punjabi and Himachal Pradesh. These days, however, the in vogue outfit can be found virtually anywhere in the country and has become increasingly popular with the movie stars of Bollywood. 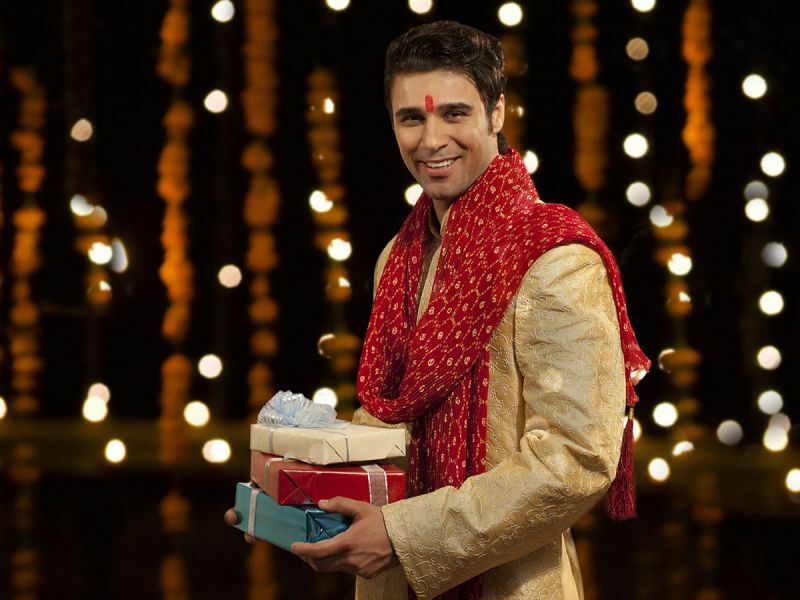 Traditional men’s clothing in India is often adapted to suit the climate. Don’t be surprised to see males wearing what appear to be skirts. City slickers sometimes take a liking to the whitewashed outfit as well, which consist of a long sleeve shirt on top and a sarong wrapped around the waist. Above all else, the energy efficient design is a hit in warmer regions because it provides substantial relief from the blazing midday sun. Other colors and combinations are typically worn on special events and occasions. As eclectic as Indian clothing is, these exotic styles rarely find their way into wardrobes overseas. One exception is the Nehru jacket, a slim fit blazer which somewhat resembles the executive suits of the West. After becoming a staple of Indian men’s formalwear in the 40’s, it eventually began piquing the interest of trendsetters overseas. International adoption reached fever pitch after the Beatles started wearing the garment upon returning from a creative and meditative holiday in Rishikesh at the height of their career. The Nehru has since been spotted on everyone from the Monkeys to villains in James Bond. Funnily enough, India’s first Prime Minister, Jawaharlal Nehru, never actually wore the jacket which would later bear his name. He was more fond of a slightly different style known as the sherwani. Despite their striking regal nature, these two staples of Indian formalwear are mostly indistinguishable to the outsider. Both elegant ensembles entail a suit-like jacket worn over either tight-fitting trousers or a wraparound dhoti. The primary difference between these and the Nehru jacket is that the former are much longer, hanging down below the knees rather than the upper thighs. First time visitors to India might be surprised to see so many men wearing a white wraparound cloth, which is not unlike the sarong. There is a good reason for it, though. Before the arrival of the monsoon season, most of India becomes oppressively hot. Many men prefer the Lungi over trousers for the extra aeration the garment provides. This added comfort has become so highly sought-after that the article has been adopted in neighboring Asian countries as well. 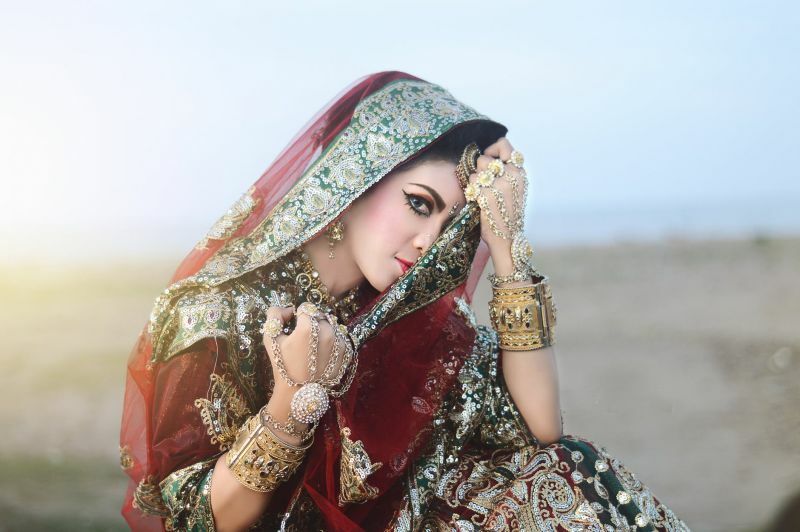 Perhaps the most striking aspect of traditional Indian clothing are the many exotic headdresses and accessories which adorn both men and women alike. 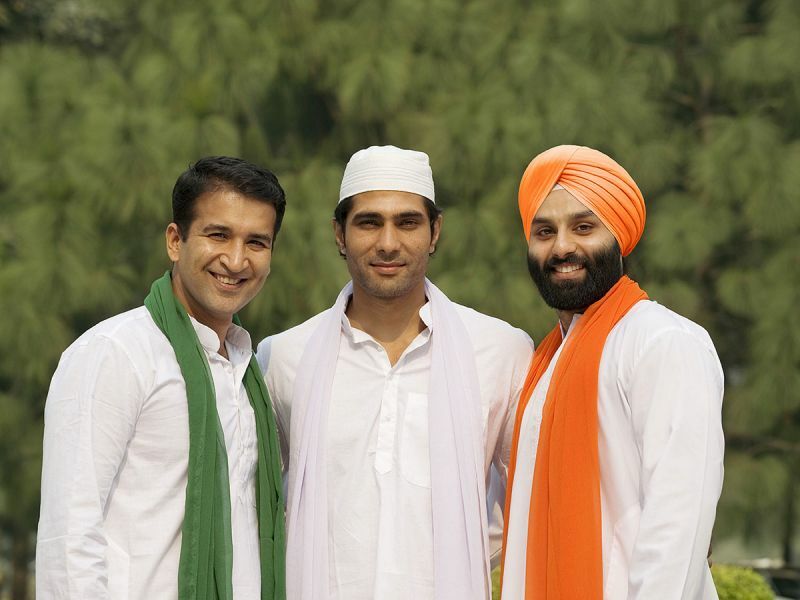 In many regions, the men don large turbans which vary in color and style according to religious and cultural preferences. The women, on the other hand, are better known for their infatuation with jewelry. Noses, ears, mouths and belly buttons are all frequently pierced and embroiled with an array of glistening gems and golden chains. But who could forget the bangle? A benchmark piece of Indian jewelry which some women wear a dozen of or more. You won’t spend a fortune in putting together an exciting Indian wardrobe, and you’ll receive plenty of smiles and goodwill from the friendly locals you’ll meet along the way. Any of the above garments tickle your fancy? Well, why not pick up a few new outfits in the markets of downtown Deli on your next trip to India through our India Travel Packags.